General Characteristics of Compounds of Alkali Metals. Group 2 Elements: Alkaline Earth Metals. Biological Importance of Magnesium and Calcium. Some Important Compounds of Calcium. Group 1 elements are known as Alkali Metals. 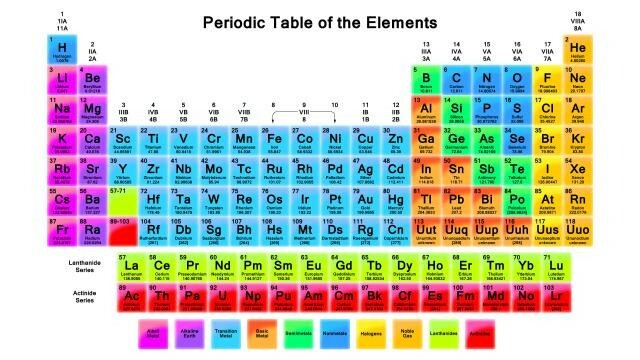 It includes Lithium (Li), Sodium (Na), Potassium (K), Rubidium (Rb), Caesium (Cs) and Francium (Fr). This group lies in the s block of the periodic table. They are shiny, highly reactive metals. They are kept in certain solutions such as oil to prevent reactivity with the air. They are soft and can be cut via knife. Sodium is abundant and francium is rare. They have metallic bonding due to which they are conducting in nature. They produce different colors with flame test. Electronegativity and ionization enthalpy both decreases from lithium to francium as size increases. Nuclear charge also decreases as one moves from lithium to francium due to increase in the size of the atom. After losing one valence electron, they can attain noble gas configuration. Alkali metals reacts with oxygen to form oxides, peroxides and superoxides. Lithium only forms monoxides. But other alkali metals can form peroxides and superoxides. They form hydroxides with water. They form hydrides with hydrogen. Due to their low first ionization energy, they can react vigorously with halogen to form halides. Alkali metals dissolve in liquid ammonia to form ammoniated ions which impart blue color to the solution. Alkali metals also forms salts with oxoacids. They are used to make alloys. Sodium is important during nerve impulse transmission. Radium is used to treat cancer cells. Potassium helps in opening and closing of stomata. Potassium hydroxide works as a precipitating agent. All monoxides of alkali metals are basic in nature. They react with nitrates and liberates nitrites. Hydroxides of alkali metals behave like a strong base. They are miscible in polar solvents. They are electropositive in nature and metallic character increases from lithium to francium. Lithium and magnesium has comparable boiling points. They both are equally electropositive. They both forms monoxides when exposed in air. They both forms nitrides with nitrogen known as Lithium Nitride and Magnesium Nitride. Lithium and magnesium both do not form superoxides. Lithium chloride (LiCl) and magnesium chloride (MgCl2) both are soluble in ethanol. Lithium is harder comparable to other alkali metals. Lithium is least reactive out of all alkali metals. It is a strong reducing agent as compared to other alkali metals. It is the only alkali metal that form the monoxide, Li2O. It does not form solid hydrogen carbonates compared to other alkali metals. Lithium does not form ethynide from ethyne as compared to other alkali metals. Lithium reacts slowly with bromine but other alkali metals do not react. It is synthesized by Solvay process. During this process, sodium carbonate is synthesized using sodium chloride and calcium carbonate as a precursor. During first step, sodium chloride reacts with ammonia, carbon-dioxide and water to form sodium bi-carbonate. During the second step, calcium carbonate is converted into calcium oxide and calcium carbonate. Sodium bicarbonate finally decompose into sodium carbonate. Sodium carbonate is soluble in water. Used in water softening, cleaning and laundering. Used in manufacturing of glass. Synthesis of borax, soap, and caustic soda also uses sodium carbonate as one of the ingredients. Sodium carbonate is also used in paint and textiles industry. Sodium chloride better known as Common Salt. Reverse osmosis is one of the method other than evaporation of sea water to obtain salt. It is used as common salt for domestic purpose. It is used for the preparation of Na2O2, NaOH and Na2CO3. Castner-Kellner Cell is an electrolysis method to synthesize sodium hydroxide. Sodium hydroxide is a white solid which is soluble in water. Sodium hydroxide reacts with carbon-dioxide to form Na2CO3. Sodium industries used sodium hydroxide. Used in textiles industries such as cotton industries. Used as a precipitating agent in the laboratories. Sodium hydroxide is used during preparation of fats and oils. Commonly known as Baking Soda. Decomposition of sodium hydrogen carbonate liberates carbon-dioxide. Used as a fire extinguisher. Used in bakeries to prepare pastries, cake etc. Group 2 elements are known as Alkaline Earth Metals. It includes beryllium, magnesium, calcium, strontium, barium, and radium. The oxidation state of alkaline earth metals is +2. Their outer electronic configuration is ns2. Alkaline earth metals are silvery, white in color. There melting and boiling point is higher compared to alkali metals. They have metallic bonding which make them conductive. They give different color with flame test. Calcium gives brick red color, strontium gives crimson color and barium gives apple green color. Alkaline earth metals react with halogen to form halides. Like alkali metals, alkaline earth metals react with hydrogen to form halides. But beryllium do not react with hydrogen. They form blue black color in ammonia, due to the formation of the ammoniated ions. Calcium is important for bones, teeth, and muscle contraction. Magnesium alloys are used during aircraft construction. Milk of magnesia is used as antacid. Magnesium carbonate is a component of toothpaste. Strontium is used in glass wares. Beryllium shows diagonal relation with aluminum. Beryllium is the lightest of all group 2 elements. It has higher melting and boiling points in comparison to other elements in group 2. BeO is amphoteric whereas oxides of other alkaline earth metals are strong alkali. Beryllium do not impart color during flame test. Beryllium is small in size with high ionization enthalpy. Both beryllium and aluminum reacts with an alkali to form beryllate and aluminate. Both beryllium and aluminum combines with halogens to form polymeric halides. Beryllium and aluminum both has strong tendency to form complexes. Carbides of beryllium and aluminum both gives methane in presence of water. Sodium ions are primary found outside the human cells. Sodium maintains the electrolyte balance in the body. Sodium chloride is used as a preservative in pickling. A drop-in sodium levels in the blood plasma below a reference value is known as hyponatremia. Hyponatremia leads to headache, nausea, seizures etc. Potassium ions are primarily found inside the cell. Potassium ions maintain the osmolarity. They also regulate the opening and the closing of the stomata. Potassium ions acts as cofactor for enzymes of glycolysis. Potassium is important in skeleton and muscle contraction. Diets with low potassium leads to hypertension. Magnesium is essential for the activity of enzymes. It is the central atom present in chlorophyll. Responsible for the stability of DNA. Maintains the electrolyte balance in the body. Magnesium deficiency is associated with insomnia. Deficiency also leads to abnormal heart beats. Magnesium alloys are used in making flares, fuse for thermite. Preparation of malleable cast iron. As a reducing agent to separate uranium. Needed for blood glucose control. Calcium acts as secondary messenger during cell signaling. Helps in proper heart and nerve functions. Calcium is essential for growth of bones and teeth. The ideal ratio of calcium and magnesium is 1:1. Both works antagonistic to each other. For Example, if calcium contracts muscle, magnesium relaxes muscle. Also, known as Quick Lime. Calcium carbonate on heating forms calcium oxide and carbon-dioxide. Important ingredient of preparing cement. Calcium Oxide is used in the manufacturing of sodium carbonate. Also, known as Slaked Lime. The lime water is diluted solution of calcium hydroxide. Calcium hydroxide has disinfectant property. Limestone, marble, chalk can be commonly known as Calcium Carbonate. Calcium carbonate is used as an antacid. It is one of the constituent of toothpaste, chewing gum etc. It is commonly known as plaster of Paris. Heating of gypsum, that is, CaSO4.2H2O forms calcium sulphate. Anhydrous calcium suphate is known as “Dead Burnt Plaster”. It is used in building industries for making POPs. Commonly known as Portland cement. Commonly used as building material. The main constituents of cement are silicon dioxide, calcium oxide, aluminum, iron, and magnesium. Cement is dicalcium silicate, tricalcium silicate and, tricalcalcium aluminate.